The holiday season is here and it is a busy time of the year. I want to take motor planning off your plate this month and make this a little bit easier for you. I’m sharing with you some of my favorite Christmas motor planning ideas. 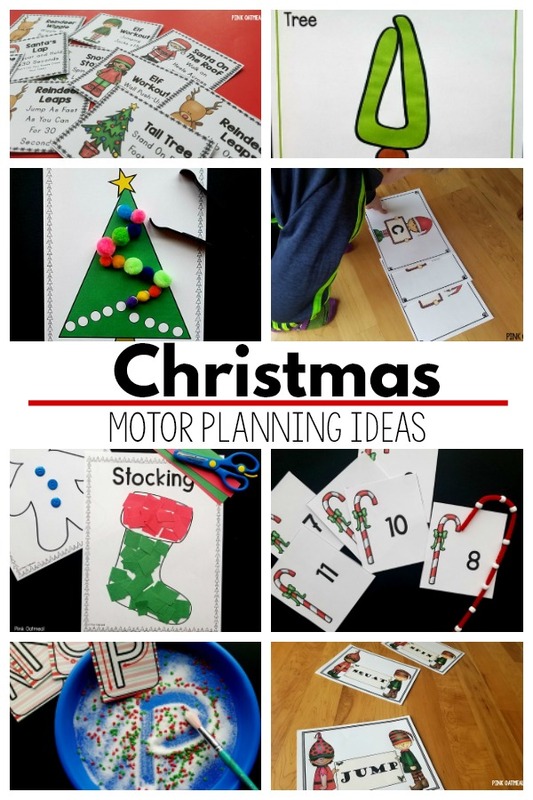 The Christmas motor planning ideas include both holiday themed fine motor and gross motor activities. The following activities are perfect for the month of December and especially fun right before the holidays. All of the activities are designed with physical activity and motor planning in mind! 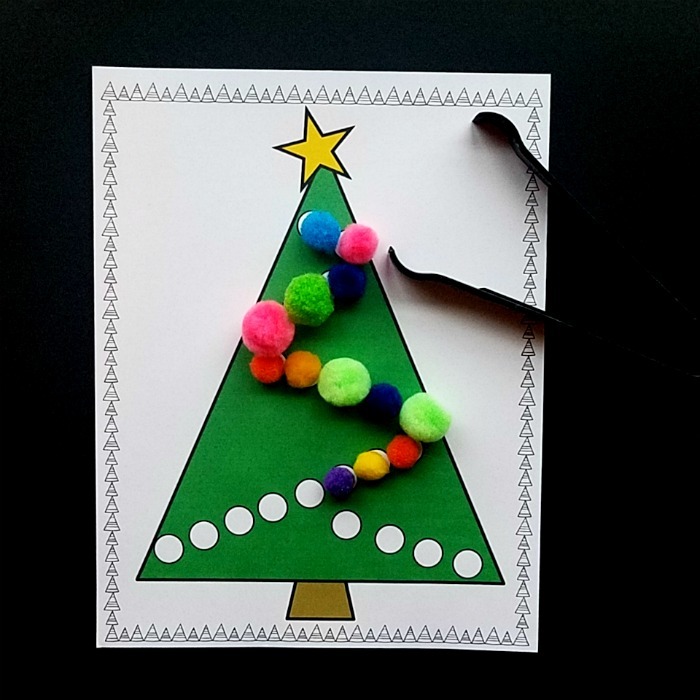 Decorate the Christmas tree with this fun fine motor activity. Use poms or manipulatives of your choice to decorate the tree. Use a tongs or fingers to transfer the manipulatives to the tree. You can find this activity in the Christmas Fine Motor Pack. 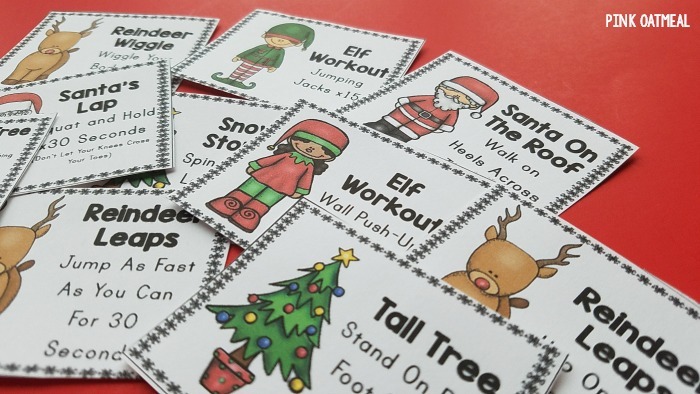 Move like each of Santa’s reindeer with the Reindeer Run Brain Break Cards. This is a fun way to get up and move during the holiday season. 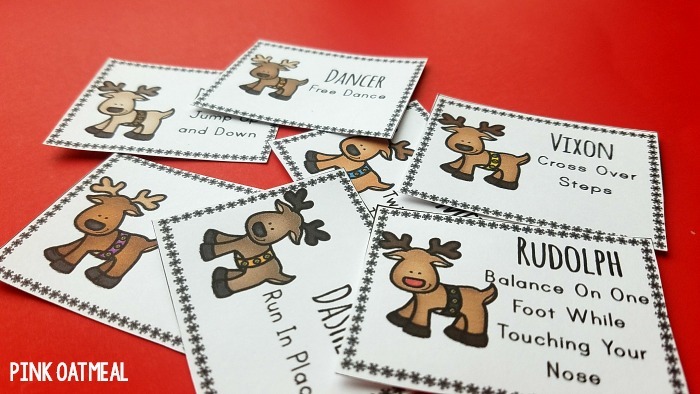 Get your set of Reindeer Run cards in the freebie library. Pre-writing strokes are important and need to be in place before trying to work on actual letters. I like to laminate these pre-writing strips to use them over and over. Dry erase markers work great for writing. I like to use the pencil paths the same way by laminating and using them over and over again. The Christmas theme is perfect for this time of year. These can be found in the Christmas Fine Motor Pack. 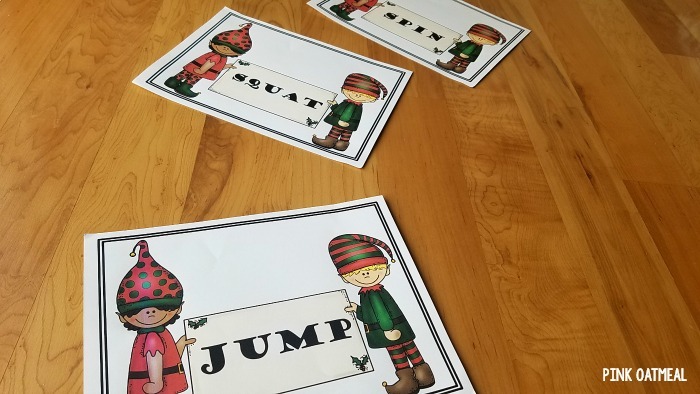 A fun way to get in gross motor fun is with the Holiday Hop game. Read about how to play this game. 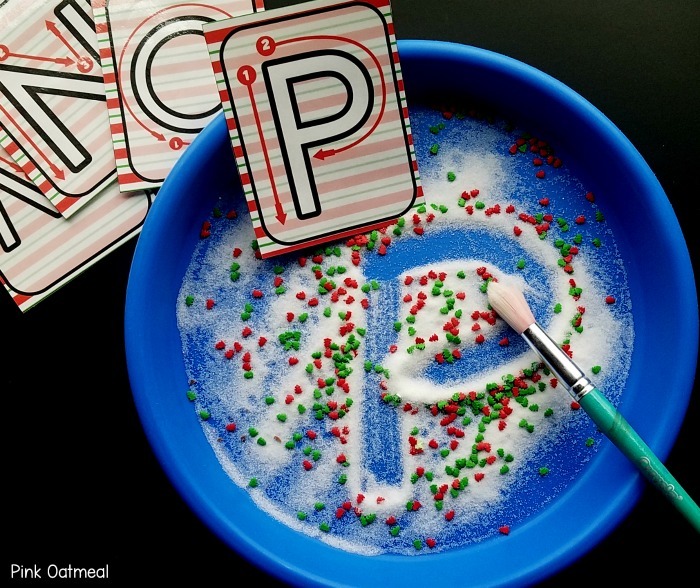 Create candy canes with this fun Christmas beading activity. You will need beads and pipe cleaners. 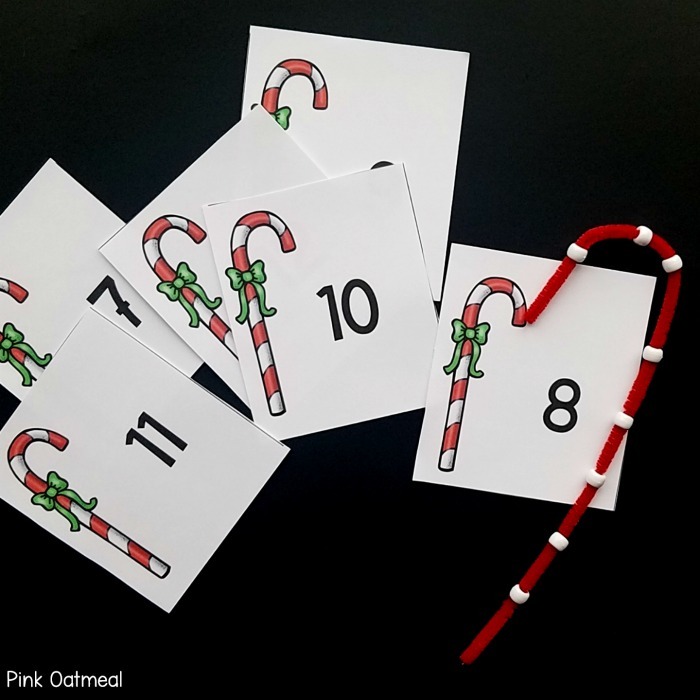 Draw the candy cane cards and see how many beads you need to create your candy cane. This can be found in the Christmas Fine Motor Pack. If you want ideas to move that are fast, fun, and efficient and need no set-up and not a lot of space the Christmas brain break ideas are for you. Read about all of the different brain break ideas in this blog post. Get a set of brain break cards in the shop. When you think of the holiday season you probably think of all things gingerbread. Another great way to move in a fast, fun, and effective manner with little need for set-up is with the gingerbread brain break ideas. Read all about the ideas. Get a set of Gingerbread Brain Break cards in the shop. Play dough is an awesome way to work on fine motor skills. 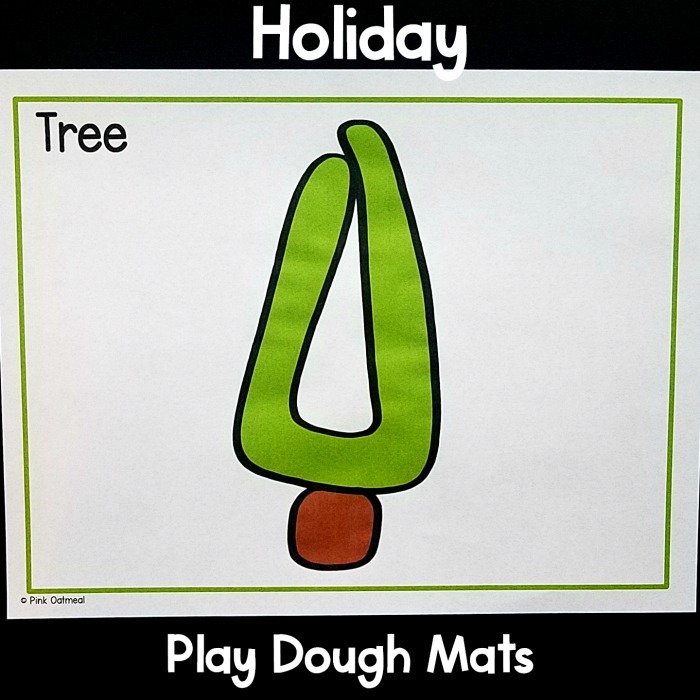 Two different ways to utilize play dough during Christmas is with the play dough mats or play dough counting. Laminate the counting cards and mats and use them over and over again. Want them ready made? Get them in the Christmas Fine Motor Activities Pack. 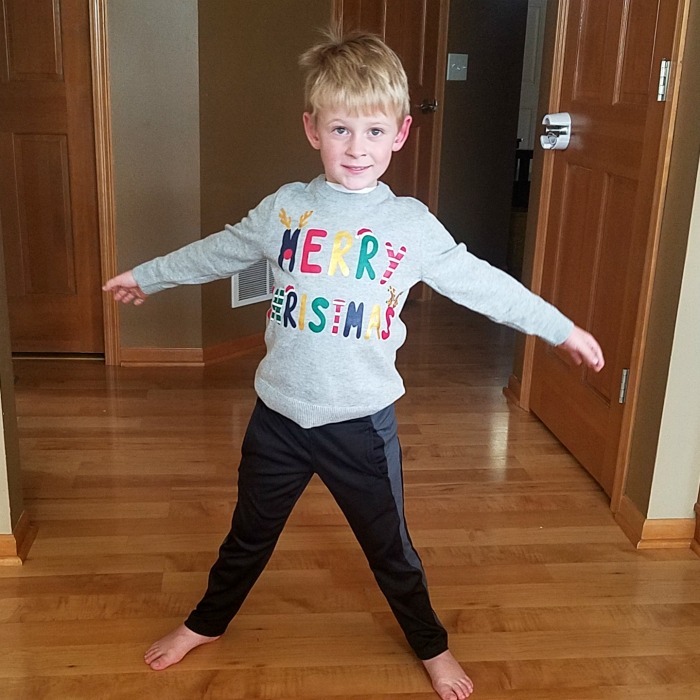 Another fun and creative way to move is with Christmas themed yoga. Pose like a Christmas tree, reindeer, candle and more! This is a fun way to get little bodies moving with a Christmas theme. Read about all of the different pose ideas. Get your own set of Christmas yoga cards – Kids or Objects version. Both sets of cards are the same poses, they have a different presentation. This scissor skills activity is fun and simple. Cut strips of paper to fill in your favorite Christmas objects. 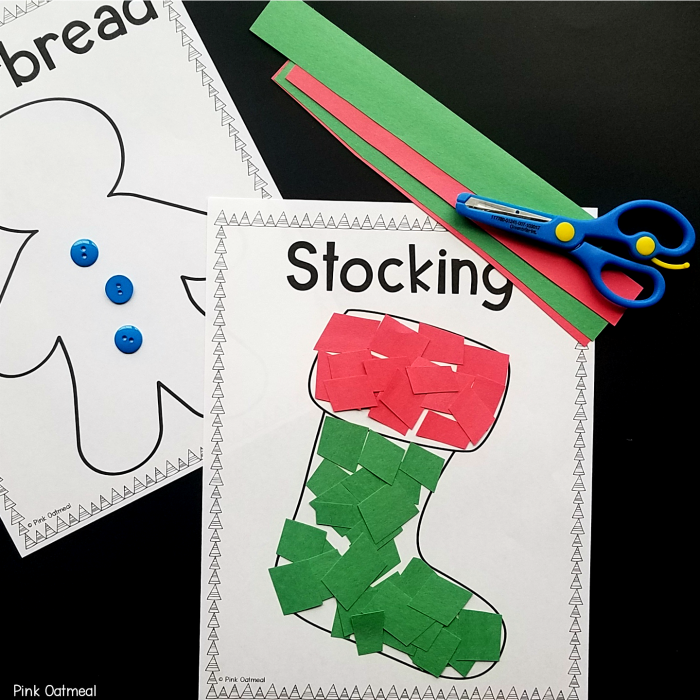 The Christmas object printables are available in the Christmas Fine Motor Pack. 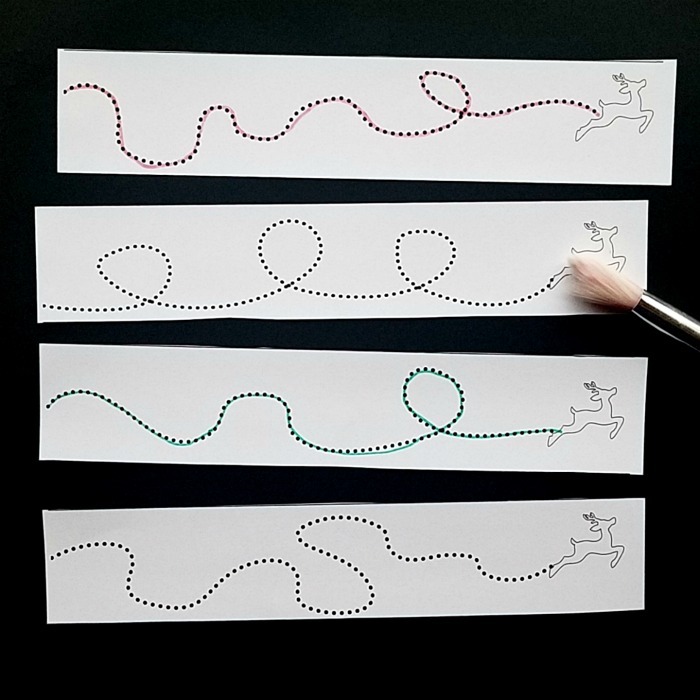 The Christmas relay gross motor game is another fun way to move during the holiday season. Race down to pick up the cards that spell out Christmas. This can be done in teams or as an individual. Vary up the movements such as jumping, side stepping or walking on your heels to add variety to this relay race. Read all about how to play in this blog post. 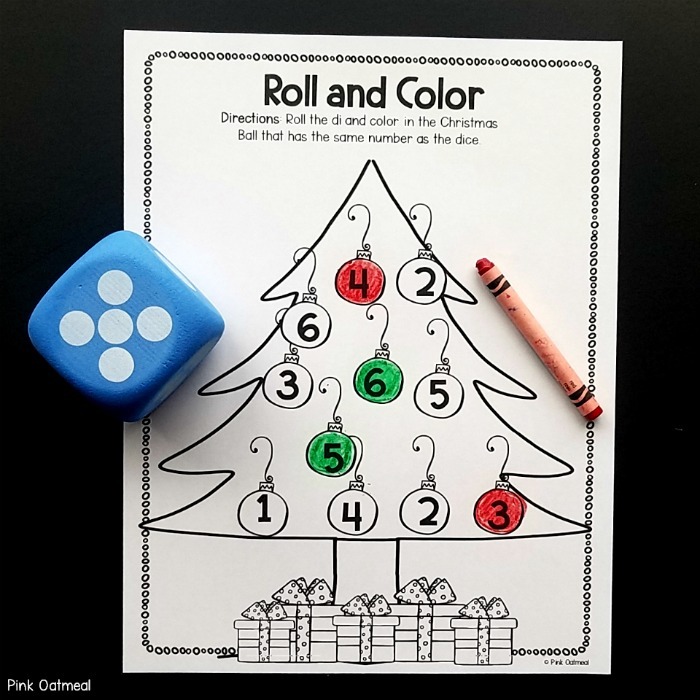 An easy way to add variety to coloring activities at Christmas is with the Christmas roll and color activity sheet. Roll a dice and see what number comes up. Color in that ball on the Christmas tree. 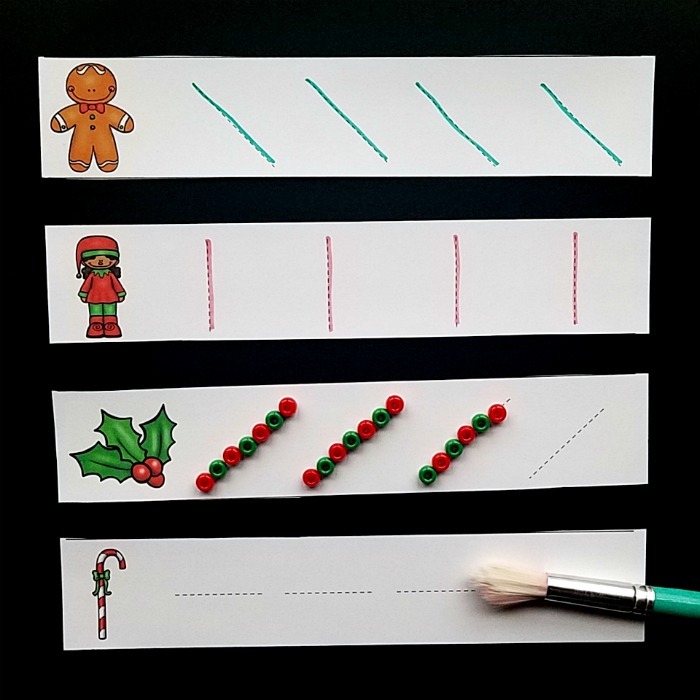 This activity can be found in the Christmas Fine Motor Activity Pack. This fun set of activities is all about getting the reindeer ready to pull Santa’s sleigh. 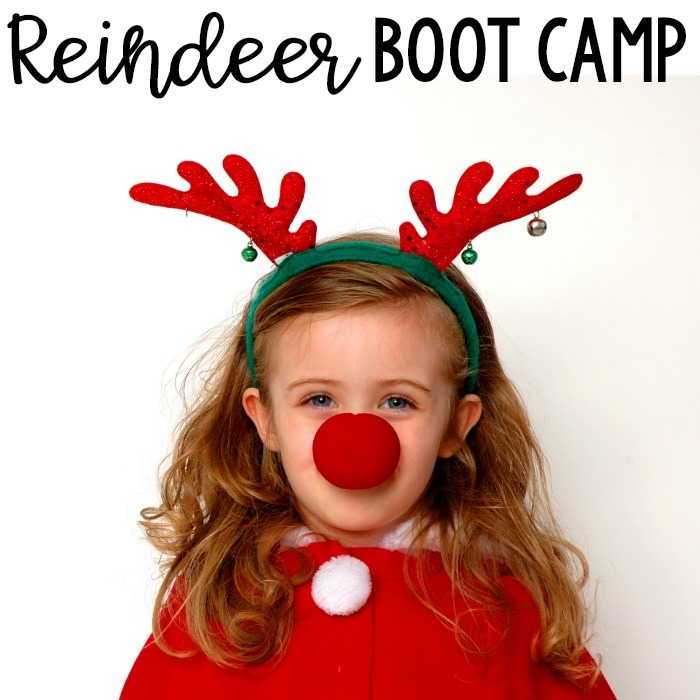 Read all about how to set up your own reindeer boot camp in this blog post. Some of the very favorite Chrismtas motor planning activities at this house include Christmas mazes and connect the dots activities! 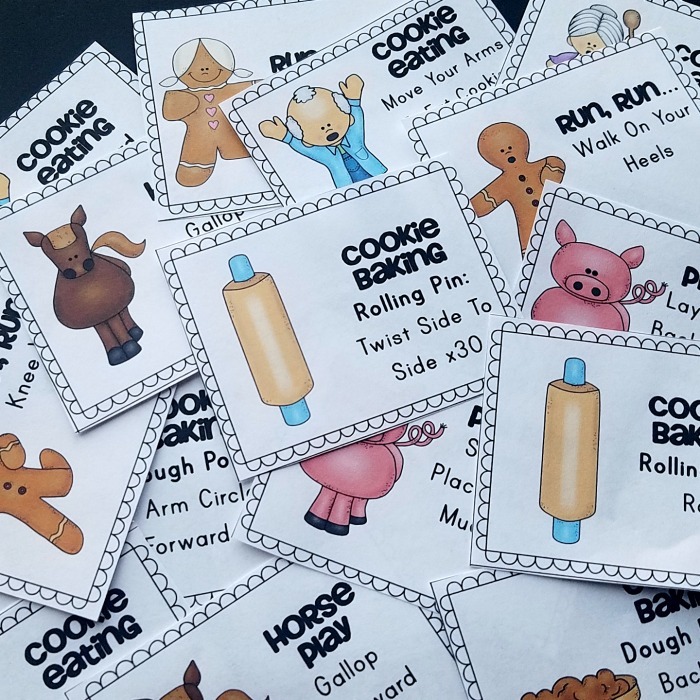 Laminate the printables so you can use them over and over again. Get these in the Christmas Fine Motor Activities Pack. This fun way to decorate a Christmas tree requires chalk or tape and Christmas tree decorations. Do you have kids ready to write? A writing station is a fun way to work on letter formation. 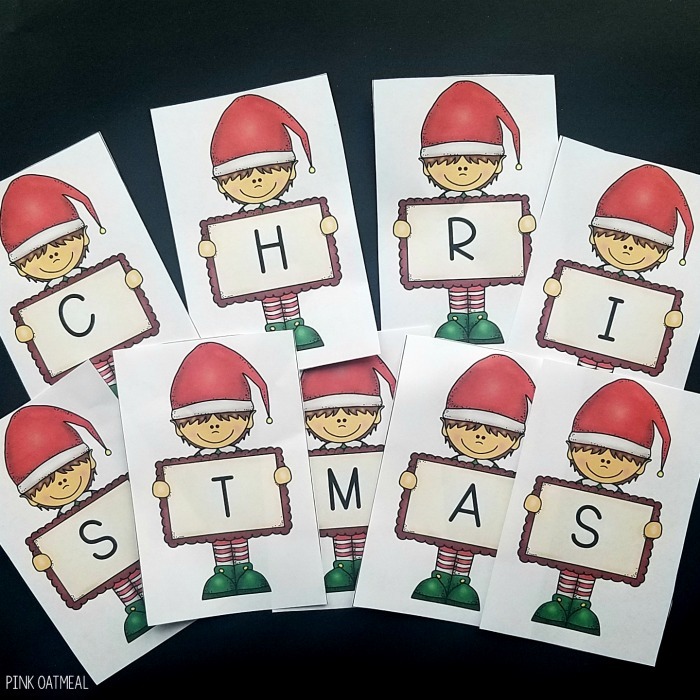 Use the Christmas themed letter formation cards to set up your Christmas themed writing station. This can be done with salt, sugar, sprinkles etc. 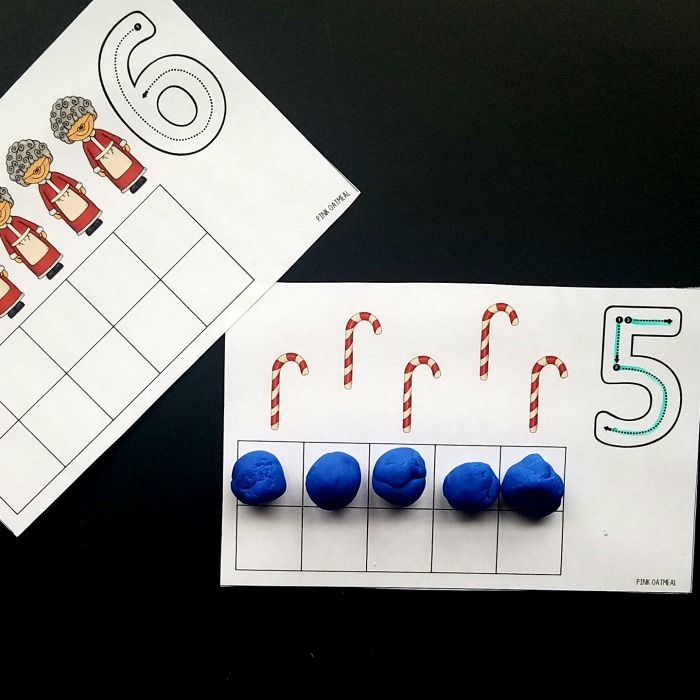 Get the letter formation cards in the Christmas Fine Motor Activities Pack. 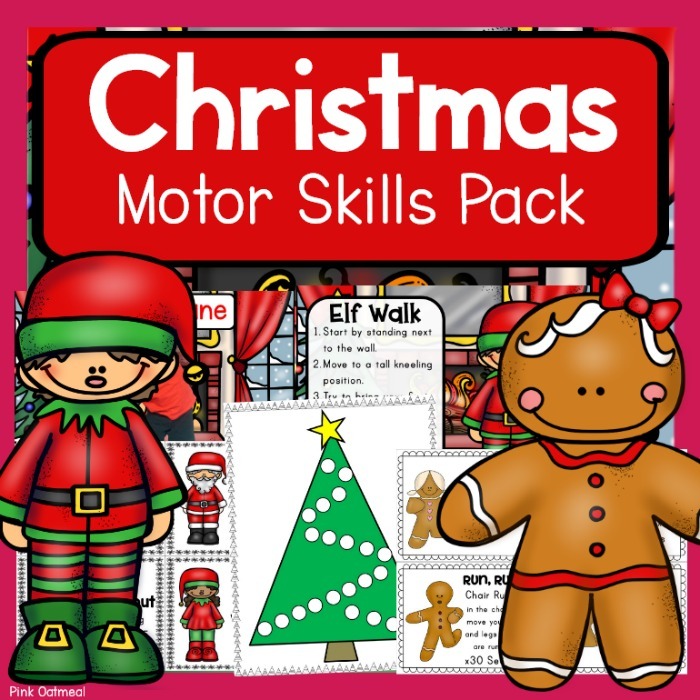 Do you want Christmas motor planning activities all in one pack to save you effort, time, and money? Pink Oatmeal is here to help. Get our Christmas Motor planning pack and save your time for friends and family at the holidays instead of planning and searching. Get this pack in the shop now.